Discussion in 'The Lounge' started by Pesqueeb, May 13, 2013. Emergency quadruple brake job on the car last night. Not really how I'd envisioned my evening. Sh1ts broke here too. 'Morning. I had a jam packed weekend. Dinner and a movie Saturday (Iron Man 3 was awesome), and a trip to Boston yesterday for the Red Sox game. I even squeezed in some gym-type exercise both days. Good morning. Tired. Just a few days before Kokopelli. Work time. Got my crash on yesterday and today I'm bloody and bruised. Serves me right for riding full on like a jackass in the pouring rain. Still worth it. Headed back to teh Afercas today. Ask me how happy I am about that. **** Mondays. Worked all weekend on top of that. mixed bag of a weekend. got a coffe in front of me. wondering WWDD. what would dirt do? can we get that as a sticker? Genius! We should somehow incorporate that into some new RideMonkey stickers or shirts. I would totally buy some. redundant Peach is redundant Peach. A play on the "Eddie would go" phrase maybe? "DirtMcGirk would ride" or something like that? "my advice to you is to start drinking heavily"
Just got the call with an official job offer. Celebrating by treating myself to a new set of clubs today I think. Pick up a sixer of Mikes hard lemonade while you're out! It should. Seems like RM jerseys have been MIA almost as long as I've been a member here. The quote and a "RIP DirtMcgirk" of some kind on the back would be awesome. Edit: now that I think about it, since we are talking about Dirt, maybe it should be low enough to look like a tramp stamp of some kind. Morning. Weekend was semi relaxing. My legs felt fresh again for my morning ride. Looking forward to my evening ride... best part of my day. edit: this should get its own thread so we can legit work it out. Worked about 95 hours last week, including through the weekend. More of the same lined up this week. Hoooorayyyyyy. that would have been too brian eno for dirt's taste. but he would have asked who brian eno was. i imagine dirt is doing his best chris pontius/party boy dance with jeebus right now. 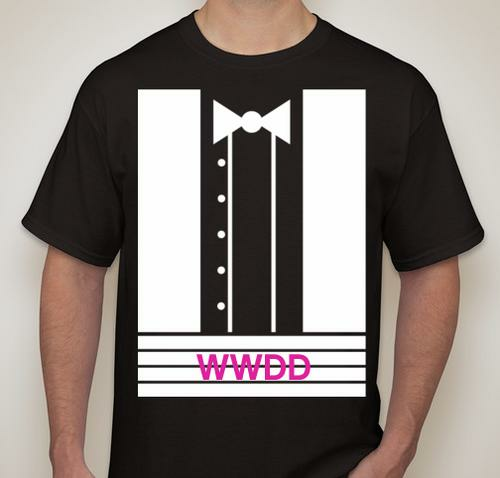 I like WWDD? Maybe with a monkey on one side, and ODB on the other. speaking of, are you going to platty this weekend?